If you think your home simply doesn't have enough space for you to get organized, think again. Here are some storage ideas for small spaces. If you don't have room for a bulky nightstand, let some wall-hanging shelves hold your bedside reading. Want a place to stash the overflow from your bedroom closet? Consider raising your bed (in the most stylish, grownup way possible) to make room for shallow bins or a rolling shoe rack. With these clever organizing tricks strategically placed around your home, you'll instantly double your home's organizing potential—no renovation necessary. In the event you have already tried some of these tricks and you are still outgrowing your house in Simi Valley, you may want to call the team at Thiel Real Estate. We can get you started on your way to owning a home for your growing family. Maybe it's time to downsize. Sometimes moving is the best way to declutter. 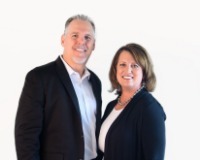 We are your Simi Valley and Ventura County real estate experts. Let us help you make the most of your home buying experience. Wish you had more space to lay out your books, notes, or tax forms on your desk? Invest in this stylish riser that elevates your desktop, leaving the space underneath free for books, papers, and school supplies. Think about the space vertically and not always horizontally. This hanging felt pocket keeps bedside essentials close at hand without cluttering up a bedside table. Check out DIY websites like Pinterest and Etsy to help you create a pocket for your bed that will hold all of your essentials. If you have a magnetic fridge, you're in luck. Get a hanging magnetic organizer that can hold a roll of paper towels, a dish towel, and lightweight kitchen supplies right on the side of your refrigerator. Bonus: It will free up valuable kitchen counter space. If you are like most people and have a stainless steel refrigerator, think about resusable hooks such as Command brand hooks. To maximize storage in a small space, every single piece of furniture has to do double duty. You've probably already considered storage ottomans and storage benches, but what about storage side tables? There are slender side table comes with a built-in basket for stashing books or a spare blanket. Don't let shampoo, conditioner, and shower gel hog precious space on your bathroom counter. Instead, install a corner shelf that suctions directly to the side of a tile shower. There are also many shower shelving units made from metal and plastic that will help you keep your shower neat and tidy. If your cramped bedroom doesn't leave you enough space for nightstands on both sides of the bed, opt for a wall-mounted shelf instead. To maximize the storage potential, choose an organizer that comes with both a drawer and a shelf. Don't forget to use that empty floor space beneath with something such as a basket to put extra blankets in. These tables also work great in a living area where you don't have the room for a traditional coffee table. Don't forget to measure for the space before you buy! If you're not currently using the space under your bed for storage, you're missing out on a chance to double your bedroom storage. Order a set of risers then tuck shallow storage baskets under the bed. Suddenly you'll have enough room to store your out-of-season clothing outside your closet. Think about the space in a spare bedroom or in a kid's room for toys. We hope you are enjoying our weekly blogs. Don't forget to follow us on Facebook, Instagram and Twitter.